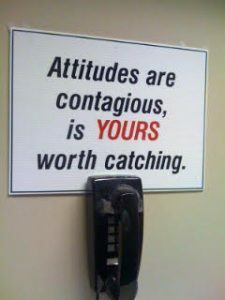 BizWritingTip wants to make a conscious effort this year to clean up the grammar on the signs we see around us. Help us out. Whenever you see an error on a sign or in an article or newspaper advertisement, send us a photo of it. We would also like to know where you saw the problem. We’ll post the most interesting signs under the “sign errors” category above. There is no prize — just the knowledge you’re making a small difference in the improvement of the English language. By pointing out the errors, hopefully, we will get them fixed. Additionally, we will put a stop to readers thinking that the error is correct just because they saw it in print. Here’s an example of what we are looking for. This is a sign I saw in an office building in Richmond Hill, Ontario. There are three grammar errors. Can you spot them? Please send a photo of errors you spot on signs, packaging, and in newspapers or magazines. Tip: There is no apostrophe after an upper case abbreviated word. 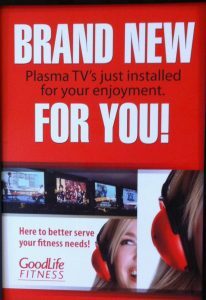 Corrected Version: Plasma TVs just installed for your enjoyment.